Please consider sponsoring one of the equines posted below! Our permanent residents that will live out the rest of their lives with WMERR and equines waiting for their forever home would love to have someone sponsor them. We offer a sponsorship program that allows you to make a world of difference to an equine or as many as you would like to sponsor. Pick the equine of your choice and help support that equine via a monthly donation that fits your budget to help pay for their feed, supplements or medical needs. 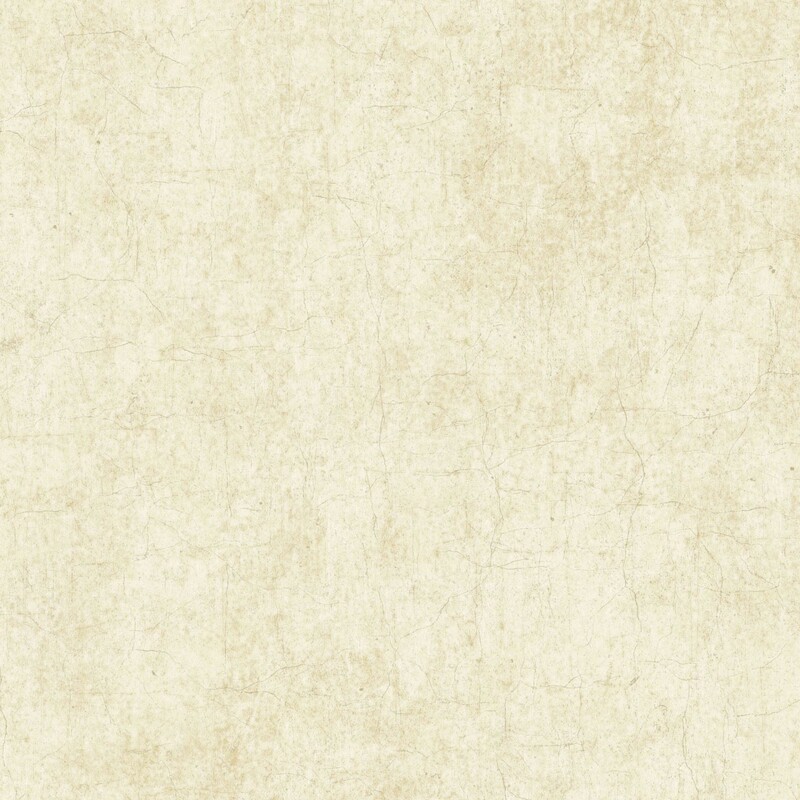 You will receive a Certificate of Appreciation with the equine's photo and regular updates. You can also gift this to that special someone. It's like "owning" an equine without "owning an equine". We are strictly volunteer run. Your donations go toward the care of the equines through feed, special supplements, medications, veterinary expenses, hoof care, transport, as well as training. All of those things are needed for successful rescue and rehabilitation of the equines under our care. Join our herd and sponsor an equine today! 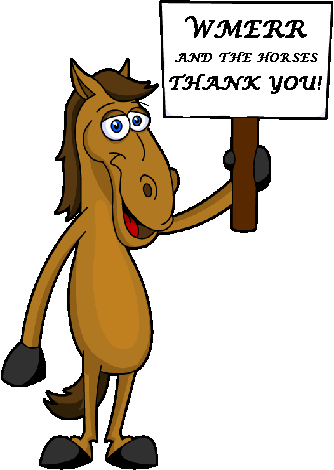 You can sponsor any equine on this website. Simply click on the "Subscribe' button, choose the amount you would like to sponsor and PayPal will take care of the rest! Sir now has a full ride monthly sponsorship! Sir arrives on 2/23/2017, a 30 year old gentle soul, along with his girlfriend of 15 years. His heart rate is good. He is alert and perky, in need of dental attention but not until he puts on some pounds! Initial exam by our veterinarian on 2/16. Heart rate is good, de-wormed. He will need supplements for his arthritis, did well on MSM until his owner could no longer afford it. 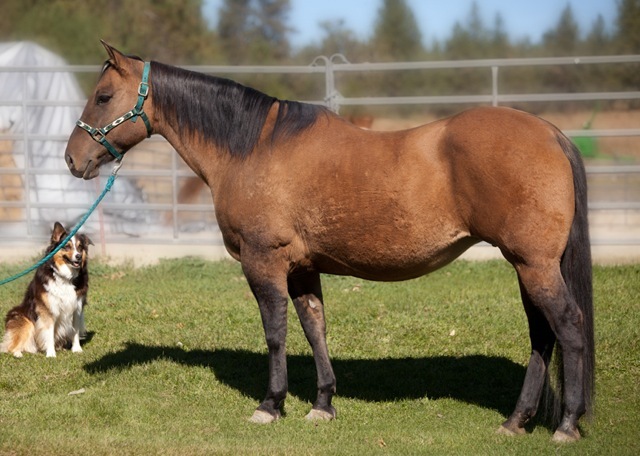 Sable is a 1999 AQHA 15.1 hh mare with an amazing calm, quiet, easy to get along with personality. At this time, she is not available to adopt due to her arrival as a foundered horses and needing extensive hoof care. She would love to meet you though if you choose to help sponsor her needs. Thank you! Sponsoring Sable and making a monthly donation toward her care is as simple as clicking the PayPal button below. What a guy! 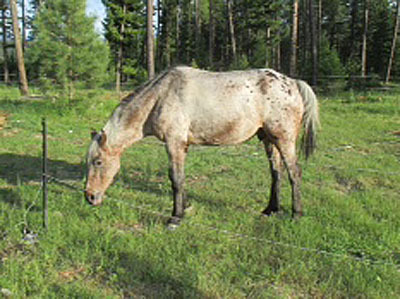 Rooster is an older Appaloosa gelding, one of our permanent Sanctuary horses since last fall. Due to his lack of teeth, Rooster's diet consists of supplements, Equine Senior and Alfalfa Pellets. He needed quite a bit of hoof and dental care upon his arrival. Any assistance in Sponsoring Rooster is greatly appreciated! The cost to care for Rooster is $70.00 per month. Sponsoring Rooster and making a monthly donation toward his care is as simple as clicking the PayPal button below. Though in a large lush pasture, Indy was starving to death due to a lack of teeth. His owners allowed us to take possession and per his veterinary assessment, put him on a diet of soaked alfalfa pellets and Senior feed. He was diagnosed with Cushings disease, so receives daily medication. 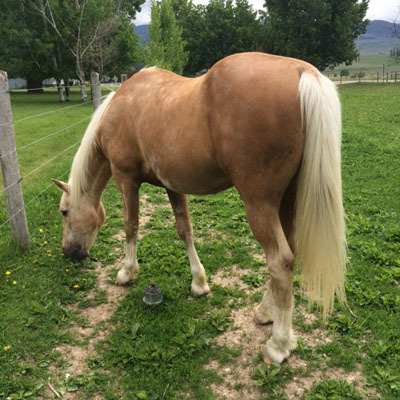 Darling Missouri Foxtrotter gelding, shy personality but trusting. Interested in sponsoring him? He has had a generous sponsor of his daily feed since arriving!